At Money Concepts, we offer our clients and customers holistic financial planning and wealth management solutions that empower them to live more enriched lives. In doing so, we encourage them to pay it forward and enrich the lives of others through charitable giving. One of the key phrases Founder Jack Walsh stated in Money Concept’s formation was that "our education teaches us how to earn a living, not what to do with it". We all have our own respective situations and the ability to give or spend as we see fit. Making charitable giving a regular part of a budget can be an empowering teaching tool and justification of what we were meant to do in life. 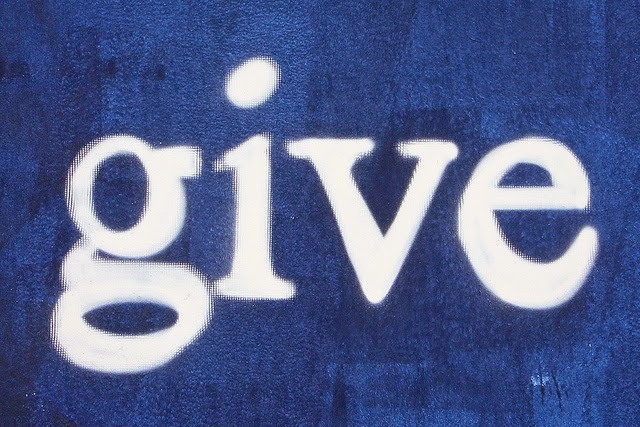 By simply showing the reduction of arbitrary or wasteful spending that has no real value, and turning it into a giving stream that saves lives, or helps deliver a life experience can not only change the receiver, but also the giver. It helps bring a perspective into your life that is often times lacking. If you want to incorporate charitable giving into your financial plan, the first step is to take the first step. Make the decision to prioritize it within your budget. Review what your current spending habits are and where your money goes. Usually, you will find multiple ways to create money to reallocate in your monthly budgeting. If you’re having trouble with this process, speak with your financial planner. “[We] are in the business to truly help others, not only from a financial planning perspective, but also to help discover how we can all have a better life, which includes charitable efforts,” noted Money Concepts financial advisor John Hathaway. The next step is to do a self-evaluation on what is important to you and align yourself with a charity or organization that you will be proud supporting. You can’t give to every charity, but find one or two that ideologically and philosophically align with yours. Probably the best advice when it comes to giving is not to get involved with charities for the sole purpose of exposure or to be a part of anything that acts in an unauthentic way. You will do yourself a disservice and you will not gain the full life experience that awaits you unless your intention is pure. Money Concepts strives to be a prime example of “earning to give” through its yearly tradition Spring of Love. During May and June Money Concepts allocates 1% of its gross income to various charities like Folds of Honor, St. Jude’s Hospital and Make A Wish Foundation. It is our mission to help foster and assist charities in the communities where our advisors are. Money Concepts financial advisor Craig Sutherland has supported St. Jude Children's Research Hospital for almost 20 years and has even founded the "Money Concepts Classic,” a local charity golf event. John Hathaway helps contribute to Early Childhood Education and Wellness and Cherish the Children, a statewide effort to help children and families in need of financial assistance. Are you ready to start earning to give?